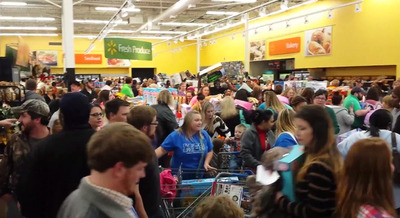 Massive crowds descended on Wal-Mart stores across the U.S. on Thursday as the retailer kicked off its Black Friday doorbuster deals one day early. 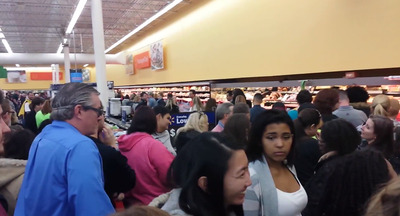 The deals, which included $US350 savings on a $US1,000 flatscreen TV, started at 6 p.m. on Thanksgiving Day. Here’s a look at the chaos inside one Wal-Mart as the sales began. 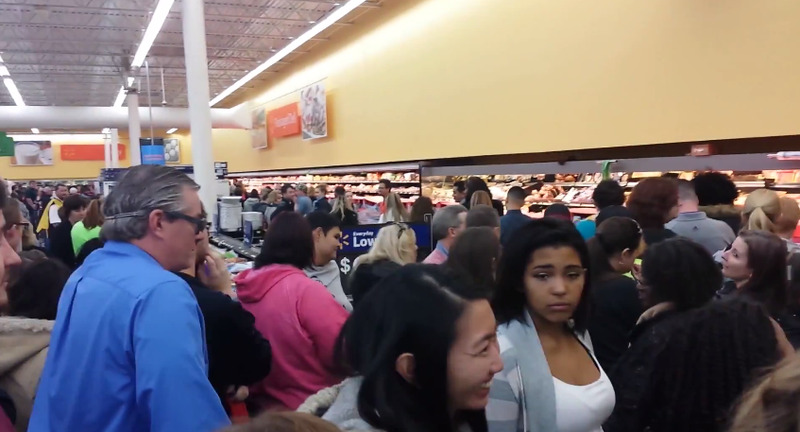 Photos posted to social media revealed insanely long checkout lines and crowded aisles. 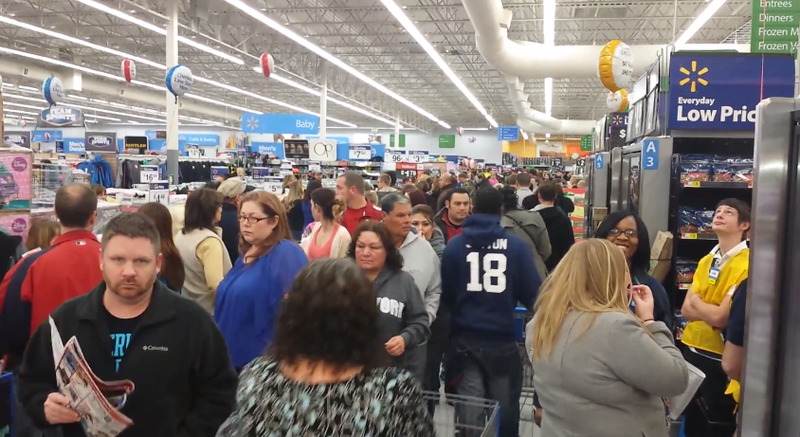 Shoppers last year were filmed fighting over flat screen TVs.